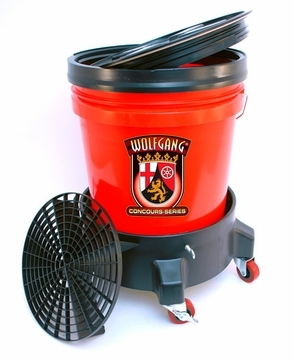 Home > Wolfgang Product Line > Wolfgang 5 Gallon Wash Bucket System with Dolly Available in red, clear and black. The Wolfgang 5 Gallon Wash Bucket System with Dolly gives you the complete wash system less the seat cushion for a $10 savings! The Wolfgang 5 Gallon Wash Bucket System is your first line of defense against wash-induced scratches and spider webbing. This system includes the Grit Guard® Insert, a 5 gallon bucket with your choice of logo, the watertight Gamma Seal Lid, and the rugged five-wheel dolly. The Wolfgang 5 Gallon Wash Bucket System with Dolly keeps your wash mitt or sponge cleaner, with no additional steps on your part. By trapping dirt in the bottom of the wash bucket, this wash bucket system drastically reduces the amount of dirt transferred back onto your vehicle from the wash bucket. Here's how it works: normally, you wash a section of paint and then dip your mitt into the bucket of soapy water. You immediately continue washing on the next section. So, what happened to the dirt you just removed from the vehicle? It's in the mitt and the wash bucket, and you've just transferred it back onto the vehicle. 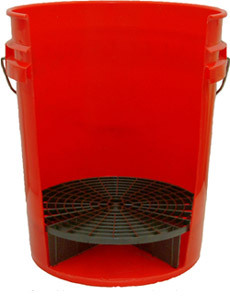 The Wolfgang 5 Gallon Wash Bucket System with Dolly includes a Grit Guard® Insert, a raised grid surface that stands about 4 inches off the bottom of the bucket. Fill the bucket with your favorite shampoo and water. Load your mitt with soapy water and wash as usual. When you dunk the mitt back in the bucket, drag it across the grid to remove dirt that has accumulated in the nap. The dirt will fall into the grid's four quadrants and settle in the bottom of the bucket. Even though you agitate the top water every time you reload the mitt, the Grit Guard® stabilizes the water in the bottom of the bucket so the dirt does not rise. Simply stated, your wash water stays clean so your mitt stays clean. Clean mitts mean no swirls! The Grit Guard is the revolutionary tool that keeps your wash water clean! It stabilizes the water and allows dirt to fall to the bottom of the bucket where it can't re-contaminate your wash tools. No swirls or scratches! This big bucket is perfect for washing your vehicle, boat, RV, or ATV. Since many premium shampoos, like Wolfgang Auto Bathe, call for one ounce per 3-4 gallons of water, you need a large bucket to get the proper ratio. The bucket is also perfect for transporting and organizing detailing tools. You can fit a lot of supplies in a 5 gallon bucket! The system includes a lid for the 5 gallon bucket. This isn't like a recycled paint bucket – this lid forms a watertight seal. You can fill the bucket with water and transport it without the lid leaking! 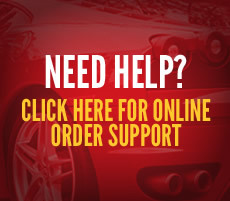 For car collectors who participate in car shows, this is a great feature. Believe it or not, some of these enthusiasts use nothing but distilled water on their vehicles and they'll actually bring it to the car show if it's not available on site. That's dedication! Say goodbye to swirls and scratches! The Wolfgang 5 Gallon Wash Bucket System with Dolly reduces cross-contamination to protect your paint from the number one cause of swirls.